We offer free delivery New Zealand wide, on all orders over $99). We offer flat-rate $5 freight on all orders under $99. You can find out more here. To ensure we can give you the best possible prices, many of our products are shipped to you from our different warehouse locations. This means that your order may arrive in separate parcels. If you have not received your full order within 7 working days, please contact us on 0800 424 537 ext 2329. If your order hasn't turned up within the expected delivery time frame, we recommend calling the courier company on the tracking details emailed to you. If you're still having trouble, please give us a call on 0800 424 537 extension 2329. Can I pick up my order (Click & Collect) from one of your stores? You sure can! All bikes ordered through our click and collect service will be fully assembled and tuned, so you can get riding right away. Just choose the Click + Collect option at checkout and your nearest store. Please note that stock may need to be sent to your store from our Warehouse - we will let you know when your order is ready to be collected. See our Click & Collect FAQs below. Unfortunately we are unable to deliver to PO Boxes. Please provide us with a physical address. Yes. Please see our international delivery page here. Click & Collect orders are typically available within 5 working days, although Pre-Order items will take longer. If you are needing your items for a certain day, please call us before completing your purchase. You can Click & Collect from any of our store locations here. We accept a wide range of payment forms - Bank Transfers, Paypal, Mastercard, Visa and American Express. Credit card payments are processed through DPS Payment Express or Paypal - both trusted and secure payment systems. Customer credit card details are never stored by us. Finance is also available through Qcard, Q Mastercard Finance Now and Gem Visa or Gem CreditLine. We also offer Oxipay and Laybuy. We offer Oxipay and Laybuy. Oxipay lets you pay in 4 fortnightly payments. Find out more about Oxipay here. Laybuy lets you pay over 6 fortnightly payments. Find out more about Laybuy here. Oxipay lets you pay in 4 fortnightly payments. Find out more about Oxipay here or on their website here. Laybuy lets you pay in 6 fortnightly payments. Find out more about Labuy here or on their website here. How do I apply a coupon or gift voucher? Promotional coupons can be applied at checkout by chooseing "Apply Coupon Code" . Coupons are not valid on Finance or previous purchases. You can also redeem Gift Cards by choosing "Apply Gift Card." Are the prices on your website in New Zealand Dollars? All pricing on our website is in New Zealand dollars. 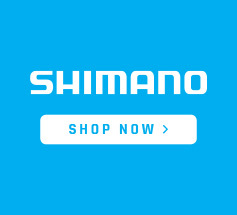 Click here to apply or click the finance this button on any bike product offering interest free terms. 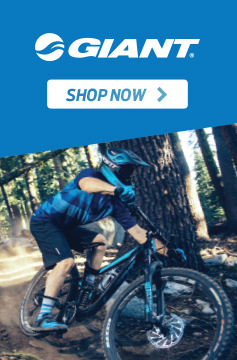 Who does Evo Cycles use for finance? We offer finance through Qcard, Finance Now and Gem Visa or Gem CreditLine. What are the terms on interest free finance? Terms vary for each individual Finance contract. See here for more details on Finance. All our bicycles are fully assembled and checked before dispatch, however, in order to fit your bike into the packing box for shipping it is necessary to detatch some parts of the bike. It is a relatively easy job to reattach these parts and generally takes between 5 and 15 minutes. You can view instructions on how to do this along with the basic tools required here . In the rare case that you are having trouble assembling the bike, please don't hesitate to call our workshop on 0800 424 537 ext. 2322 for technical assistance. You can view our size guide here . If you have any questions regarding sizing just call us on 0800 424 537. 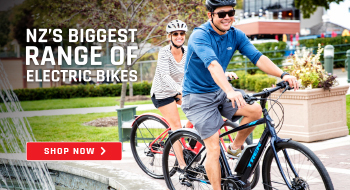 Which style of bike should I buy? The style of bike you need is determined by a number of factors such as how you'd like to ride and where you'd like to ride it. We recommend calling us on 0800 424 537 and our bike gurus can help find the perfect bike for you. Where can I get my bike serviced? At any of our great stores with full workshop facilities which you can find here. 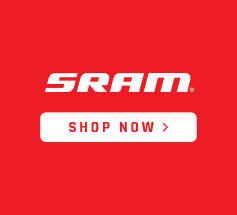 If you can't make it to one of our stores, your local bike shop should be able to help. Is the item I purchased covered by warranty? Evo Cycles is proud to be official stockists of all our brands - you won't find parallel imported goods here. Our typical manufacturers' warranties are a year or more, with some even offering lifetime warranties. Please call us to enquire about a specific item or check out the manufacturers website. Please check out our Policies page for conditions. Returns can be couriered to us, or dropped in to our Hamilton store at 97 Kent Street, Frankton, Hamilton. Can I return the product if I'm not happy with it or change my mind? Please choose carefully as we are not legally obligated to accept returns or exchanges unless the product is damaged or not as described. Shipping costs may be incurred for exchanges. Will the product be exactly as I see it in the image? While every effort is made to ensure that our product images are accurate, please be aware that colours may vary from what is shown, and from time to time parts may also vary due to supplier availability and manufacturing variations. If an item is available online will it be available instore? Not always. We carry over 30,000 products online, not all of which will be available in our retail stores. Due to stock availability, there are also some products available in store which are not sold online. Please call the store ahead of time to check what you are wanting to purchase is available there. I can't add the product I'd like to purchase to my cart? If the product line is greyed out, it generally means that the item is either on pre-order or out of stock. Please email us here and include a link to the product you are interested in. We sure do - they make great gifts for the bike enthusiast in your life! You can purchase vouchers online here. The product I'd like to purchase is out of stock - will you be getting more in? We'll always try our best to get something in for you, even if it is out of stock on our website. Please email us here and include a link to the product you are interested in. Absolutely! Give us a call on 0800 424 537 ext 2329 to discuss your requirements. A deposit is generally required for special orders. Please call us immediately on 0800 424 537 ext 2329. I've received my order and it is incorrect or damaged. Absolutely! Our customer service team are more than happy to help you with your order over the phone. Please call us on 0800 424 537. How long will my pre-order take to arrive? Pre-order times vary depending on the product and can be influenced by factors outside our control such as shipment delays at customs. We will keep you updated if you have something on pre-order with us. If you have any questions please call or email us. Can't find the answer above? Feel free to call us on 0800 424 537 or email us here.